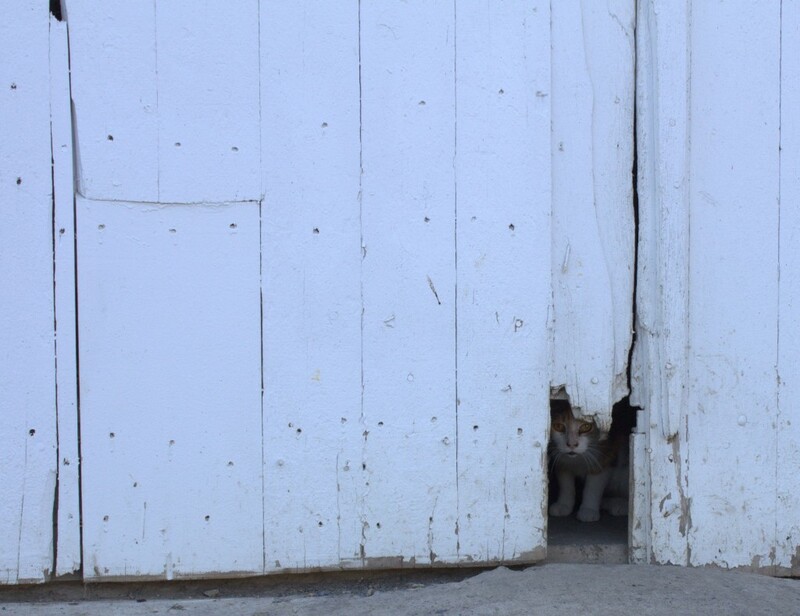 This barn kitty peeks out from his secret entrance to say Hello. He was at first soaking up the rays of the sun at the side of the barn, but when I stepped closer he ran around to his secret entrance where he could feel safe and look out at me. This yellow-eyed cat was showing his curious nature by saying hello from a safe distance inside the barn. I liked the rough edges of the barn wood with its chipping paint and character marks here and there. This Barn Cat Hello image is available for greeting cards or prints from my site on Fine Art America.